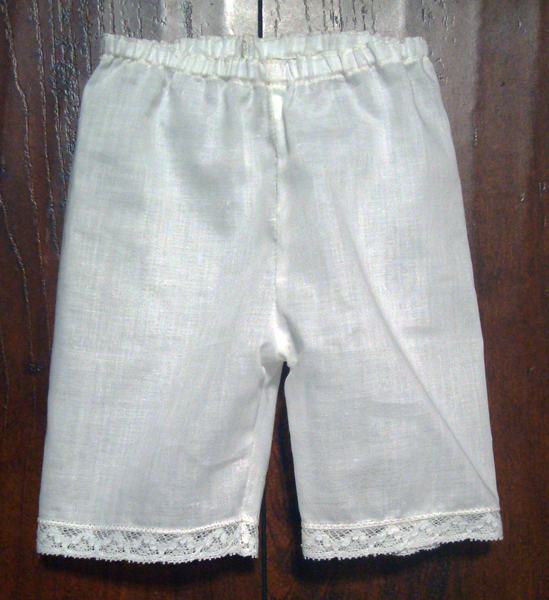 These Antique Style Drawers/Bloomers are made to fit under the slips and dresses made here at Forget Me Not Doll Repair. 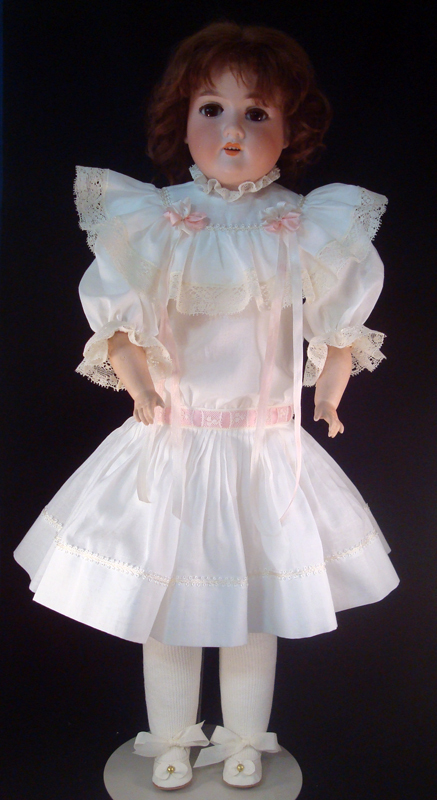 They are made of 100% vintage cotton batiste trimmed with cotton lace. A slip is also available. These drawers/bloomers are made to fit German antique doll bodies of both leather and ball jointed composition. The waist is sized with elastic. Elastic, as we know it today, was used in clothing from about 1900 on.